Wrought Iron Furniture can be defined as one of the most elegant designs and styles which are notable for uniqueness and also durability. 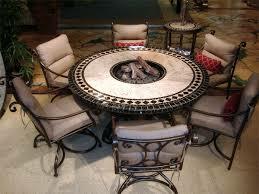 Such furniture is always preferable for outdoor or any other patio purposes as wrought iron can resist water well. From a collector’s item to a simple household product, such furniture is always the first hand choice for many. These are quite classy in nature and also known for their durability. With the help of little maintenance, the usability and life of such furniture can increase well. These products are generally indestructible and also can hold any size and weight without hampering the quality of the furniture. Other two major aspects associated with these products are weather resistance and also durability. Moreover, these are always fashion centric in nature and also match easily with every household. One can find such furniture for any old fashioned decoration or for a contemporary look as well. The term wrought has been derived from the old version of verb namely “to work”. Thus, wrought iron can be best known as iron which has been previously worked on. If defined chemically, then products which are made out of wrought iron comprises of iron 15% lower than its usual content. This material also comprises of some slag, which is yet another specific feature associated with this field. These iron products are mainly tough and also malleable and can be welded off quite easily. Thus, products manufactured using wrought iron is quite tough, long lasting and also can be changed into various shapes, according to the requirement of the clients. This is also corrosion resistant and thus, can be easily used for patio or outdoor furniture purposes, without thinking twice. One significant advantage associated with Wrought Iron Furniture is that is can be changed into a different look completely. For an easy example, if you put single linen clothing on a wrought iron table then the look is quite formal. On the other hand, if you remove it, then the look turns casual. Thus, with a simple use of linen cloth, one can change the entire look of a dining room. With the help of little bit of maintenance, a wrought iron product can last long. In order to make a product weather resistant, it is a must to paint it on a regular interval. Once the product is treated, the furniture can be easily put outside, even in winter season. It is always advisable to keep a close watch on the products before buying it from either a company or a manufacturer. If you see any sort of cracks on the furniture than it is always better to touch up the cracks with paints. Always clean up the products with mild soap and clean water. One can get quality Wrought Iron Furniture from online stores at some lucrative ranges. There are great discount prices on products which are durable and these can be procured from reliable branded companies.